In a city with the medical reputation of Houston, it’s an extraordinary accomplishment for a doctor to rise to the top of his field to become one of the foremost electrophysiologists in the country. Dr. Shanti Bansal has achieved this recognition and more. His academic background is exceptional and includes a residency at the University of Chicago plus a Nuclear Cardiology and Electrophysiology Fellowship at Yale-New Haven Medical Hospital. In addition, Dr. Bansal also completed advanced studies in ablation techniques and associated devices at the Harbor-UCLA Medical Center. Further, Dr. Bansal is Board Certified in four specialties: Internal Medicine, Cardiology, Nuclear Cardiology, and Electrophysiology. Afib can range from very mild to severe. In fact, in some cases individuals with afib may not even be aware they have the condition, and, over time, the afib might even disappear by itself. Nevertheless, in most cases, afib is noticeable and is a serious disease that should be diagnosed, treated and managed by trained professionals. An irregular heartbeat fails to deliver adequate blood to your body causing a variety of symptoms. In addition, the quivering of a heart can lead to pooling of blood in the heart’s left atrial appendage resulting in clotting and, potentially, strokes. Fortunately, there are many good, effective therapies available to moderate and control the disease. The overall objectives of afib treatments are the management of the heart’s rhythm and heart rate as well as a reduction in stroke risk. This is most often accomplished through medications, therapeutic procedures, and minimally invasive surgery. Below are some of the most common tools used to regulate heart rhythms and restore normal heart function. Based on the initial diagnosis, the first step in treating afib is the use of heart rate control medications. The objective is to bring the heart into a more regular, steady rhythm to allow blood to flow correctly through your system. One frequently used the drug is called digoxin which is known by its trade name Lanoxin. This medication slows the heart rate and reduces afib’s effects. Another group of medications is called beta-blockers. This class of medications also slow the heart rate and are commonly given to treat afib symptoms. Medicines in this group include the drugs Atenolol, Metoprolol, and Propranolol. The third group of drugs that are frequently used to slow afib heart rates are called calcium channel blockers. These drugs both slow the heart rate and reduce the strength of the heart muscle contractions. Included in this group of medications are Verapamil and Diltiazem. All of these medications and others are offered under a variety of trade names and, based on the drug, may deliver slightly different benefits. Use of any of these is up to your electrophysiologist and the afib treatment options selected along with your afib treatment plan. When discussing afib treatment options, your electrophysiologist will make a distinction between heart rate and heart rhythm. Heart rate is the number of beats the heart makes every minute. For example, a rate of from 60 to 100 beats per minute is considered a standard resting rate for adults. Afib can send this beat count either much higher or much lower. Therefore, heart rate control with afib is often one of afib’s treatment options. On the other hand, heart rhythm differs from heart beats in that during the heart beats themselves, the heart may quiver, flutter, or simply miss a beat entirely. This is considered the rhythm of the heart and, if irregular or erratic, are symptoms of afib. Treatment to correct and manage rhythm will be included with your treatment plan. 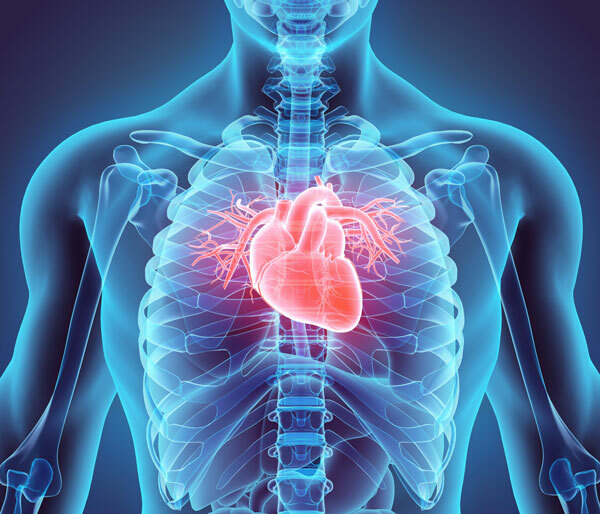 Therefore even though a person’s heart rate is within the normal range, the heart’s rhythm may be fibrillating and, therefore, will require treatment. Drugs that control and manage heart rhythm are called antiarrhythmic drugs. These work to suppress abnormal rhythms such as fibrillation and skipping beats. Many medications are available, and the top Houston electrophysiologist at Atrial Fibrillation Centers of America will select the best therapies available for each person’s unique situation. Some of the common antiarrhythmic drugs include sodium channel blockers such as Flecainide and Propafenone and potassium channel blockers such as Amiodarone and Dofetilide. 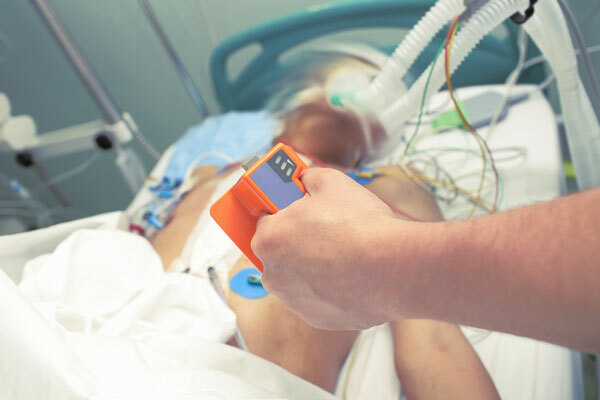 In some cases, the electrophysiologist may suggest using a procedure known as electric cardioversion. With this procedure, a mild electric shock is delivered to your heart while you are asleep from medications. The electrical energy readjusts your heart’s rhythm, brings it back to normal, and eliminates afib symptoms. This procedure is done in a single day on an outpatient basis, and there are few side effects. Catheter ablation is minimally invasive and involves inserting a small device at the end of a wire through a vein and into the heart. Once positioned, the surgeon uses the tool to create scar tissue within the heart at various sites to isolate and interrupt the flow of erratic electric signals. When blocked these irregular signal never reach the lower chamber and, therefore, cease to cause erratic heart contractions. The inserted device may be equipped either with a tip that uses radiofrequency to heat the tissue to create the scars or may use a cryogenic tip to freeze the tissue, which also results in scarring. In either case, the scar tissue in the heart blocks the irregular signals from reaching the lower chamber but does not interfere with the normal signals over the normal electrical pathways. This returns the heart to its usual, natural rhythm. Under normal conditions, your heart delivers blood throughout the body in a regular manner beating faster or slower depending on the amount of oxygen your body needs. So, for example, when you exercise, your body uses up oxygen in your blood and needs more as a result of the exercise. Consequently, your heart beats faster to supply your body with the increase in oxygen it requires. When the upper and lower chambers of your heart do not work together rhythmically, afib is the result. An erratic heartbeat, which is an afib symptom, causes the heart to deliver too little blood to the body. Because blood carries the oxygen you need, too little blood means too little oxygen is reaching your body. The brain recognizes the shortage and signals the lungs to breathe more heavily. When this happens, you feel a shortness of breath. This sensation is your body telling you more oxygen is needed. 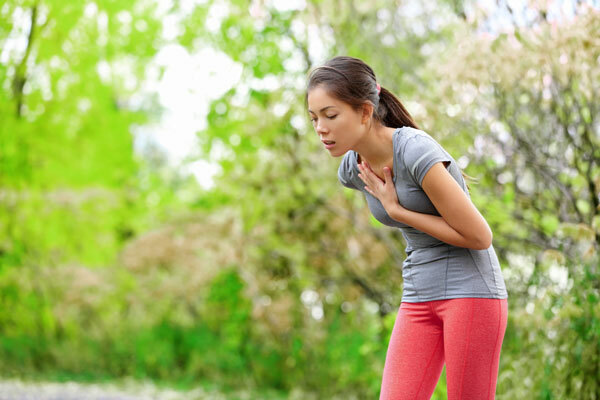 If you have shortness of breath but don’t know its causes, or if you have any of the other atrial fibrillation symptoms, call Atrial Fibrillation Centers of America and schedule an appointment with Dr. Shanti Bansal, Houston’s top electrophysiologist. He’ll evaluate your conditions and, if necessary, develop an afib treatment plan including any treatment options to address your specific diagnosis. Call our office today at 832-478-5067. While exercising can be helpful for many people with afib, it is essential to consult your atrial fibrillation treatment specialist to see if exercise is right for you. In some cases, strenuous exercise can bring on an afib episode which can cause the heart to race and blood pressure can drop to the point of fainting. In some cases, your electrophysiologist may want to bring afib symptoms under control before you begin an exercise program. Be sure to report any of these symptoms to your doctor. Afib is a type of heart arrhythmia during which the upper chambers of the heart beat out of coordination or out of rhythm with the lower chambers of the heart. When this condition occurs, the heart does not deliver enough blood to the body. Occasionally, afib causes the heart to beat too fast resulting in too little blood flow to the heart itself. This will cause heart pain or angina. This particular symptom frequently occurs in patients who have suffered prior heart disease or damage. In general, a damaged heart is more susceptible to experiencing pain than non-damaged hearts. 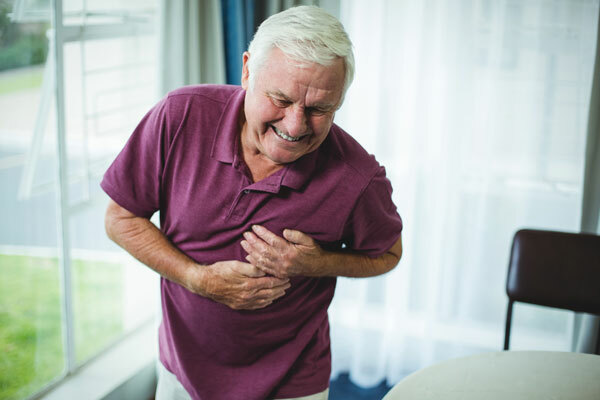 Heart pain caused by afib is not a signal that a heart attack is in progress, but, should you experience chest pains, you should seek medical attention immediately. Afib is a medical condition that should be diagnosed by medical professionals trained in evaluating and treating atrial fibrillation symptoms. Dr. Shanti Bansal is Houston’s top electrophysiologist and is ready to provide you with a complete evaluation of your condition. If you have afib, he will discuss afib treatment options and develop a treatment plan designed especially for you. This may include various medications or, in some cases, minimally invasive surgery. If you believe you have afib, call Atrial Fibrillation Centers of America today to schedule an appointment, 832-478-5067. As is the case with other afib symptoms, the irregular heartbeat’s failure to deliver adequate supplies of oxygen to the body, including the brain, is responsible for dizziness and fainting. Afib is caused when the upper and lower chambers of the heartbeat ‘out of sync.’ This irregular or erratic heartbeat results in the heart delivering insufficient amounts of blood to the body. Since the blood carries oxygen needed throughout your body, reduced blood flow means insufficient oxygen circulates. Reduced oxygen to the brain results in dizziness and, in some cases, fainting. With this symptom, it is essential to avoid and prevent any secondary injury from a fall or accident. At the first sign of dizziness, you should stop and sit down, or, if driving, pull off the road and park. Stay still and take slow regular breaths until the dizziness passes. Should you faint, take a ‘go slow’ approach when you regain consciousness. Sit for a few minutes and steady yourself before trying to stand or resume any activity. It is always good to have a personal plan of where you might sit or what you might do if a fainting spell occurred while you are shopping or visiting an unfamiliar place. There are many afib symptoms. Dizziness and fainting are indicators of an irregular heartbeat and should be evaluated by medical professionals. Dr. Shanti Bansal of Atrial Fibrillation of America can assess your symptoms and, should your dizziness be a result of afib, he will review treatment options, discuss additional atrial fibrillation symptoms you may experience, and develop a treatment plan specifically for you. Dr. Bansal is Houston’s top electrophysiologist and is dedicated to providing the finest afib treatment available. To schedule an appointment with Dr. Bansal at his Houston office call 832-478-5067. Make your appointment today. According to an article at the US National Library of Medicine, fatigue is one of the three most common symptoms of afib, and some physicians report that fatigue is the most frequently mentioned symptom among their patients. The causes of fatigue in afib patients are directly linked to the nature of afib itself. When an afib episode occurs, the heart suddenly jumps up from its normal beat rate to a rate as high as from 100 to 175 beats per minute. This rate is the equivalent of jogging, although the patient may be sitting in a chair. The effect of this fast heartbeat is that considerable energy is burned, leaving the patient fatigued and tired. Afib is a result of lack of coordination between the upper chambers of the heart and the lower chambers. Instead of working together to pump blood through the body efficiently, the erratic nature of the chamber contractions significantly reduces the efficiency of the heart. It has been estimated that up to 20-30% of pumping capacity is lost due to afib. Less pumping capacity means less blood flow and oxygen reaching the rest of the body. The heart works harder than it should, and the result is the patient feels tired and fatigued. Although little research has been done, there is some evidence that the nerves connecting the brain and the heart contribute to the feeling of fatigue. When the heart is out of rhythm, the nerves signal the erratic behavior to the brain which in turns causes the brain to believe the heart is overworking and the body is therefore tired and fatigued. Additional research is needed in this case, however. In many cases, fatigue is the direct result of underlying afib causes such as being overweight, having poor dietary habits, using excessive alcohol, or other issues. Many of these activities are often at the root cause of the afib itself but can also cause fatigue in patients. Both the underlying cause and the afib join to bring on fatigue. A change in lifestyle can help alleviate both issues. Treatment for most afib patients usually begins with a variety of medications, some of which are designed to regulate the hearts’ rhythm. Many of these medications will, in and of themselves, cause patients to feel fatigued. If you have been diagnosed with afib, are taking medications, and are continually feeling fatigued discuss with your doctor which drug may be at fault and whether or not there are alternatives. 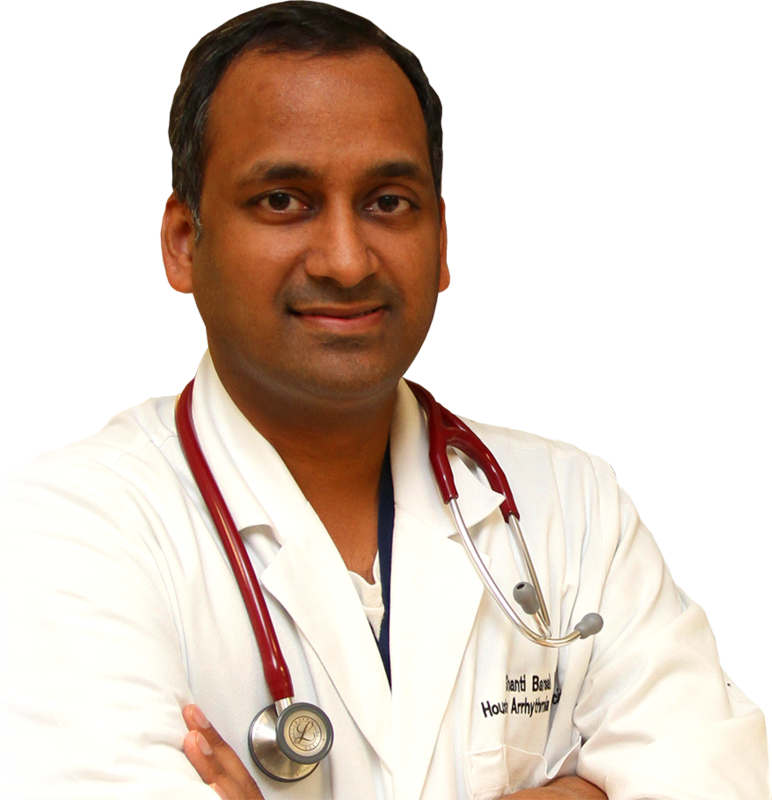 Dr. Shanti Bansal is Houston’s top electrophysiologist and is dedicated to providing the highest quality, compassionate care to afib sufferers. 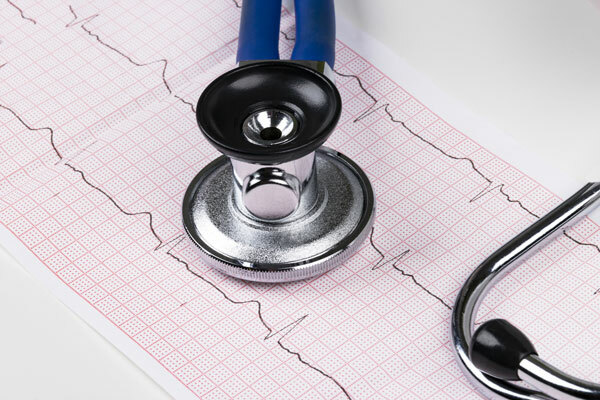 If you have any of the atrial fibrillation symptoms, schedule a consultation with Dr. Bansal to receive a complete electrophysiology exam and diagnosis. Should you have afib, Dr, Bansal will discuss with you the various atrial fibrillation treatments, treatment options, and next steps. He and his staff at the Atrial Fibrillation Centers of America are highly skilled in diagnosing and treating afib. If you are fatigued and are not sure of the source, it might be afib. Make an appointment today to find out, 832-478-5067. Usually, our hearts do their job day in and day out without us even noticing. They pump in a regular rhythm, speeding up as needed during exercise and slowing down when we slow down. On occasion, however, we may feel a heart palpitation; a feeling in our chests that our heart is skipping a beat, racing, adding a beat, or fluttering. These palpitations may have many medical causes, and it requires the analysis of trained medical professionals for a proper diagnosis. 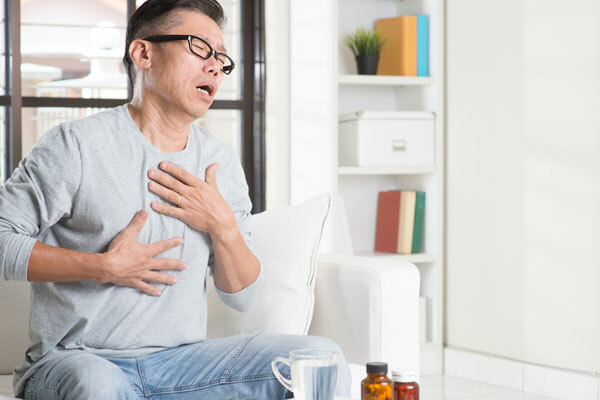 Some underlying conditions that cause palpitations can be serious, so if you have palpitations, you should see a physician as soon as possible. Palpitations are also a symptom of afib or an irregular heartbeat. 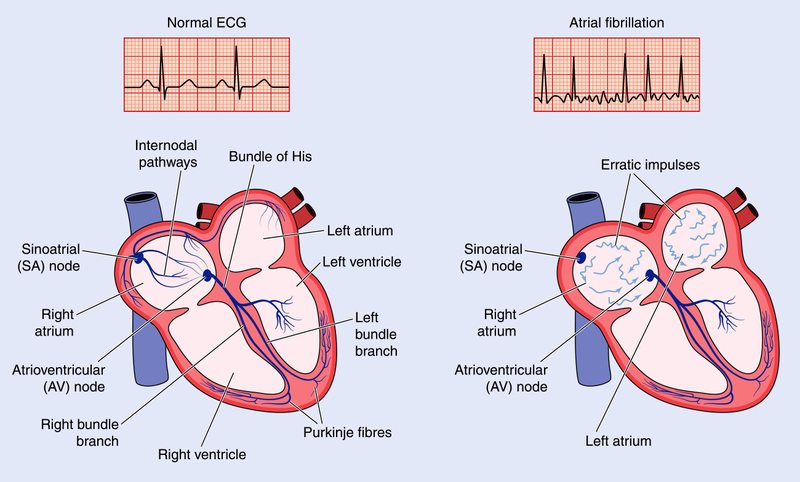 With afib, the chaotic nature of the rhythm of the upper chambers of the heart (atria) being out of ‘sync’ with the lower chambers (ventricle) produces abnormal heart rhythmic patterns that become noticeable. A person may suddenly perceive their heart skipping a beat, racing, fluttering, or slowing down. These symptoms can be regulated through a management plan designed by an atrial fibrillation treatment specialist. Palpitations can result from a variety of causes such as anxiety, stress, excessive amounts of caffeine, and nicotine. In addition, there are many medical conditions, other than afib, which can cause palpitations. Some of these are serious, so if you have palpitations, you should see a physician as soon as possible. Dr. Shanti Bansal, Houston’s top electrophysiologist, is highly skilled in diagnosing and managing palpitations and other afib symptoms. If you have any of the atrial fibrillation symptoms discussed here, please schedule a consultation with Dr. Shanti Bansal by phoning our office at, 832-478-5067. Our professional staff will be glad to assist you and answer any questions you may have. Keeping your heart healthy is important. If you exhibit any atrial fibrillation signs schedule a visit with Atrial Fibrillation Centers of America to understand your treatment options. Individuals with afib have a five times greater chance of suffering a stroke than those without afib. This is due to the fact that when the heart is not pumping normally, blood pools in the left atrial appendage (an internal portion of the heart.) When blood pools, clots can form which can break free and travel through the system causing a stroke. Once your diagnosis is complete, your atrial fibrillation treatment specialist may prescribe blood thinners to reduce the chance of stroke by reducing the likelihood of blood clots. This is accomplished through medications and may be an element of your overall afib treatment plan. Each individual’s specific case may require a unique management plan which may or may not include blood thinners. Many excellent blood thinners are on the market and available including Dibigatran, Clopidogrel, Heparin, and Warfarin. During an initial consultation, if appropriate, your electrophysiologist will select the blood thinner medication most effective for your specific situation. With blood thinners, there is an increased risk of bruising and bleeding. These risks can be reviewed with your doctor. Nevertheless, Dr. Bansal’s primary focus is to provide the highest quality cardiac care when treating patients with atrial fibrillation symptoms. His medical philosophy is centered on establishing care-driven, one-on-one doctor-patient relationships which afford each patient the highest levels of cardiovascular disease diagnosis and treatments. He believes that delivering compassionate medical care is the highest calling of the medical arts and, he conducts his practice based on this philosophy. His patients trust him to provide the very finest afib treatments including diagnosis, explanation of treatment options, and symptom management. If you believe you have atrial fibrillation signs, such as an irregular heartbeat, racing heart, palpitations, or the feeling your heart is ‘flopping over,’ call for an appointment with Dr. Shanti Bansal, Houston’s top electrophysiologist. His office can be reached at 832-478-5067. Call today. If you believe you have symptoms that are atrial fibrillation signs or you simply want to ensure you have no underlying atrial fibrillation risks, please contact our offices for an appointment with Dr. Shanti Bansal. Our staff will be happy to assist with appointments and to answer any questions you may have. Atrial Fibrillation Centers of America is dedicated to helping each of our patients live the fullest, healthiest life possible. Call us today for an appointment, 832-478-5067. Atrial Fibrillation Centers of America is proud to offer an exclusive, high-quality medical concierge service to international patients seeking to consult with Dr. Bansal. This service is also available to patients within the United States but is specifically designed for individuals living overseas. Those seeking the highest levels of medical care that can only be found within the extensive Houston complex of hospitals and medical centers can now access this care through ACA’s concierge service. Any other specialized or medical services required. We also recognize that in addition to managing the health of your heart, patients may require other medical services. Because of this, we maintain a network of specialists in every medical field and can arrange referrals for our patients to some of the finest medical practitioners and facilities available anywhere. Should you have a medical requirement in addition to arrhythmia, please discuss your requirements with our staff. We will then schedule convenient appointments as needed. All of these services are available to patients within the United States, but we designed this program for busy international patients seeking the finest in heart and other medical care. For the sake of the health of your heart, begin today and become an established patient of Dr. Bansal. Our concierge service makes visiting Houston as easy as making a single phone call. You’ll be delighted to find that we have designed a program that lets you take advantage of the many medical resources Houston has to offer. Afib Treatment Houston. Atrial Fibrillation Specialist. Afib Treatment Houston. The physicians at Atrial Fibrillation Center Of America pride Afib Treatment Houston. 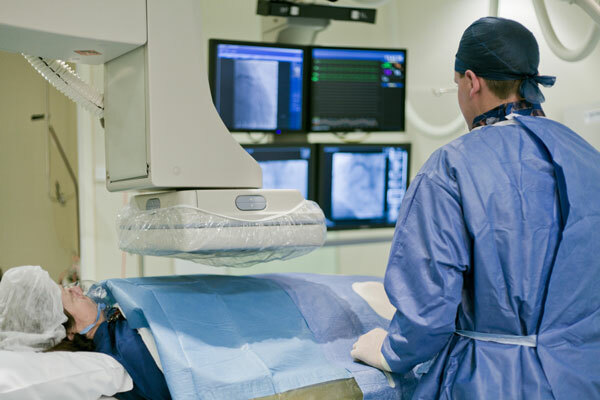 themselves as being advocates for patient needs and Afib Treatment Houston have established their Afib Treatment Houston practice as an example Afib Treatment Houston of the highest quality arrhythmia care available. Afib Treatment Houston. Afib Treatment Houston. Our mission is to Afib Treatment Houston develop strong patient-doctor clinical relationships to be able to deliver the best possible personalized care. Afib Treatment Houston. We believe our patient services are the finest available Afib Treatment Houston and offer the following. Afib Treatment Houston.